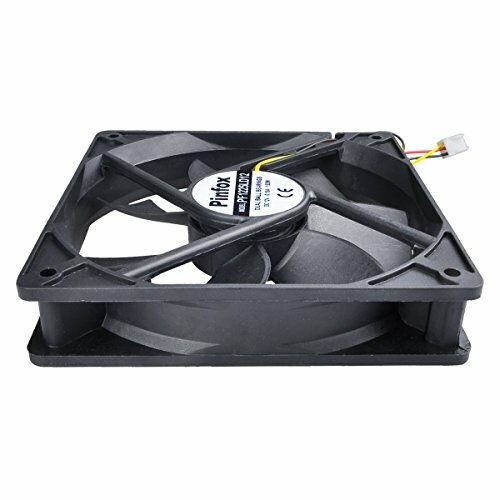 The ultra-quiet cooling fan is designed to maximize airflow CFM to noise dBA ratio. It comes with 0.5m cable with 3 pin plug, one fan guard, and mounting screw set which is easy to install and use. 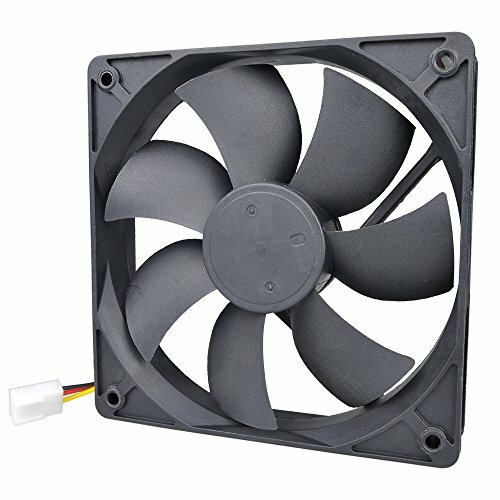 It can be applicable for the custom projects which requires ventilation, cooling, or as a replacement fan for various products. Tips: tachometric signal is an output signal that can be ignored in two-wire applications. 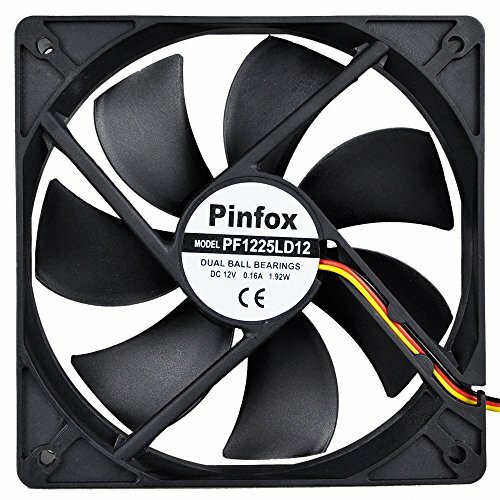 We offer a variety of fans for different applications. The following table shows parameters of them. Search the Amazon ASIN and see the details of each product page description. 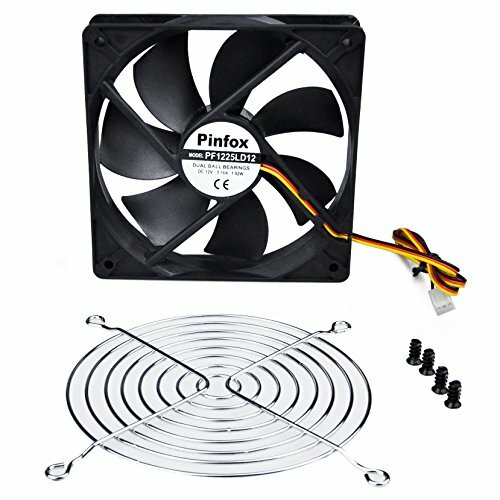 Ultra quiet fan with great volume air flow. Ideal for cooling devices or cabinets that requires minimal noise. 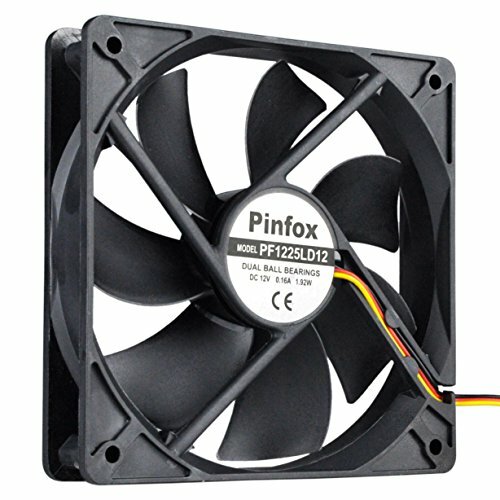 In addition, the fan's speed can be adjusted by using a different voltage (5-12V), which means that it can work at a lower voltage to achieve a silent effect. Dual ball bearing allows continuous operation 24/7 without dust and high temperature concern and have a lifespan of 65,000 hours compare to sleeve bearing. Even more it allows the fans to be laid flat or stand. Can be used in both two-wire connection and three-wire connection. It is perfect for noise sensitive applications like case cooling, home theater cabinet cooling, audio video equipments cooling etc. High quality, and 1 Year Warranty. If you have any questions about this product by Pinfox, contact us by completing and submitting the form below. If you are looking for a specif part number, please include it with your message.